Explore the botanical wonders of West Park on snowshoes! 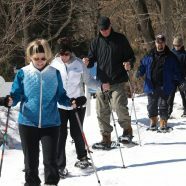 Equipment and lessons provided, including little snowshoes for ages 5+. Dress for the weather.